Delta Air Lines’ first Airbus A220-100 has emerged from the paintshop ahead of its delivery in 2019. 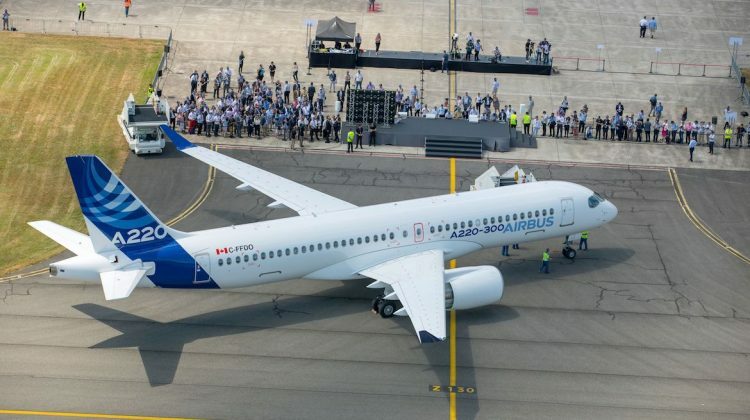 Pictures released by Airbus and Delta show the aircraft formerly known as the CSeries being towed to the final assembly line in Mirabel, Quebec, Canada. The aircraft will undergo ground tests before undertaking its first flight in the next few months. Delta said it was scheduled to begin service with the regional jet in early 2019. 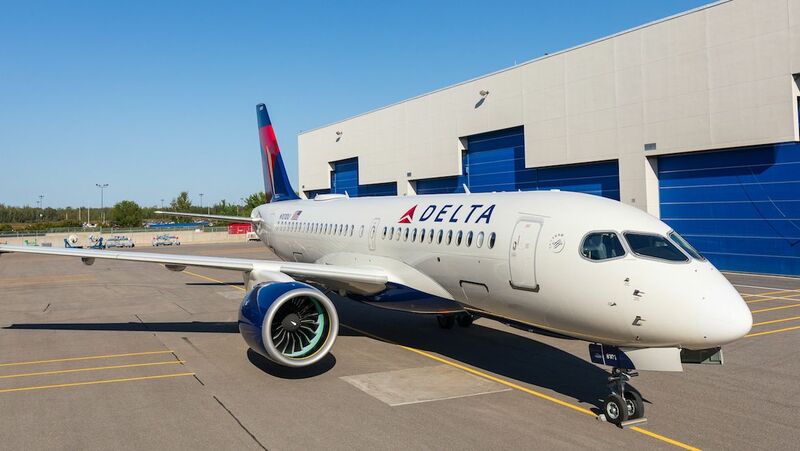 “There’s nothing like seeing years of planning come together in the shape of a freshly painted aircraft,” Delta fleet management team project manager Larry Cato said in a statement. 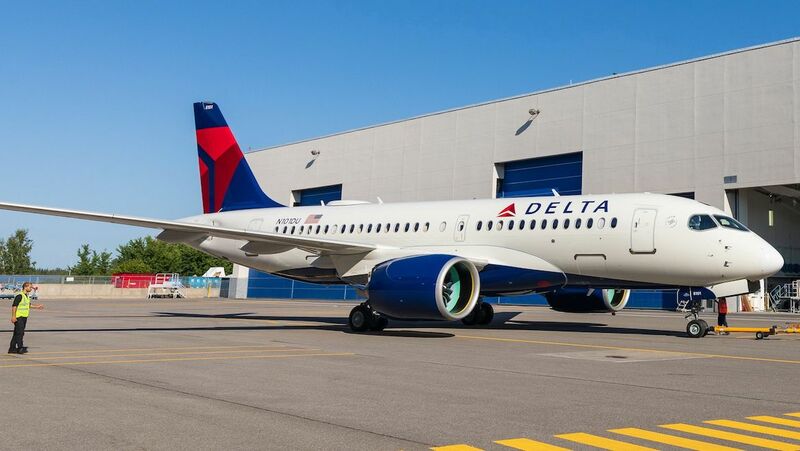 The first Delta A220-100 took nine days to paint and required 200 rolls of masking tape and 165 gallons (625 litres) of paint. “It’s a tremendous feeling of accomplishment to know we just outfitted North America’s first A220 from tail to tip,” an Airbus supervisor in the Mirabel paint shop Julie Léveillé said. Delta ordered 75 A220-100s in 2016. Then, the program was owned by Bombardier and the aircraft referred to as the CS100. 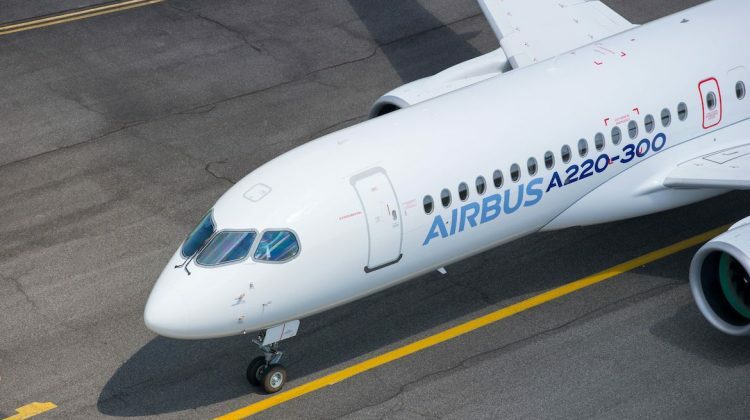 It also held options for a further 50 airframes, which could be either the A220-100 or larger A220-300. It was the first firm order for the aircraft from a US carrier. 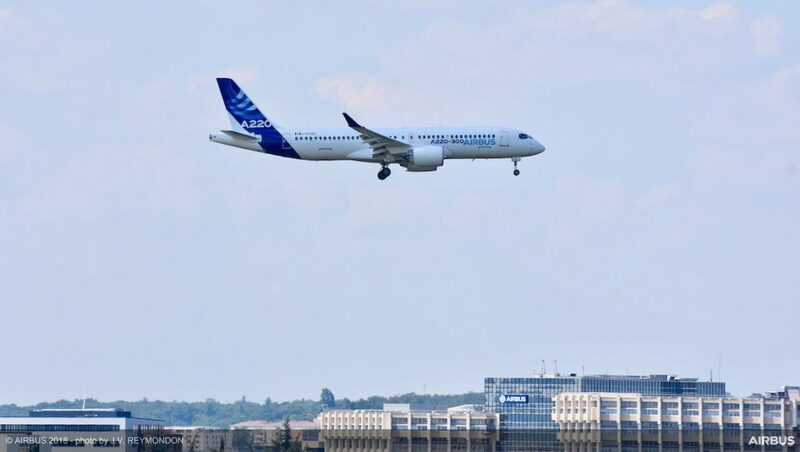 Since then, US carrier JetBlue in July 2018 announced it had ordered 60 Airbus A220-300s, with deliveries starting in 2020. 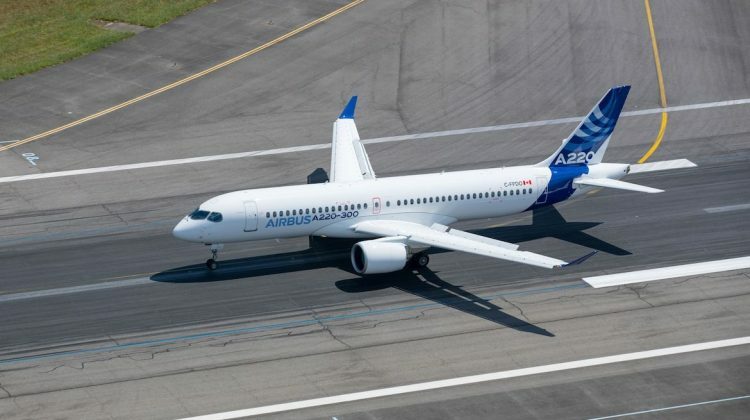 In October 2017, Airbus struck an agreement with Bombardier to become a partner and 50.01 per cent majority shareholder in the CSeries program, with Bombardier and the Quebec governments investment arm, Investissement Québec, owning approximately 34 per cent and 16 per cent, respectively. 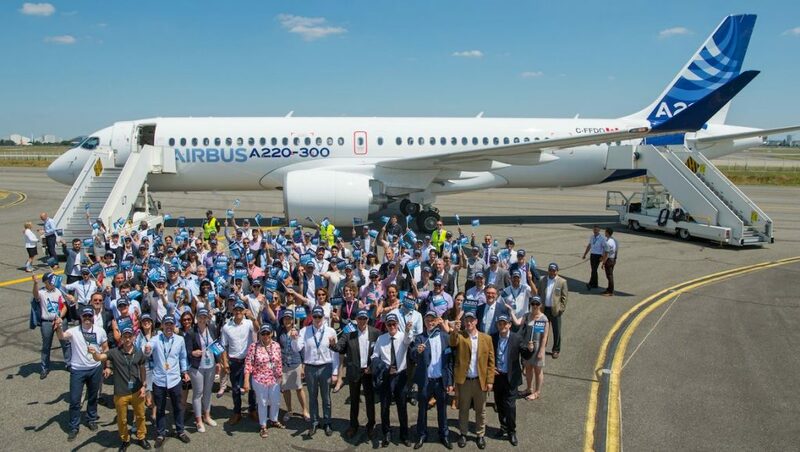 The deal was finalised on July 1 2018 and later in the month Airbus officially rebranded the CSeries as the A220 at an event held at its Toulouse headquarters featuring invited guests, executives from both companies and invited media. 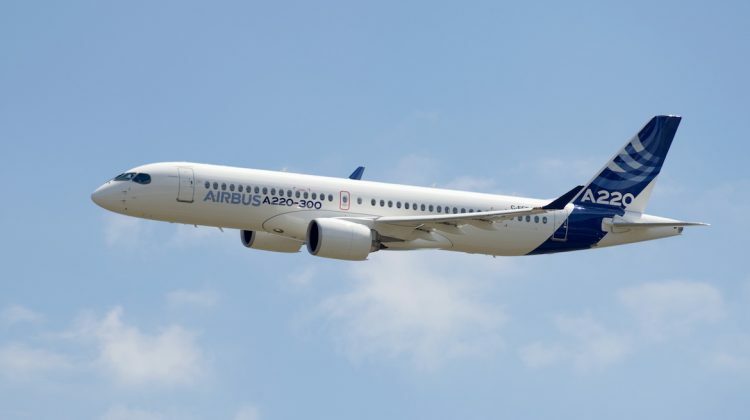 There have been 402 orders for the A220 family of aircraft, with 42 aircraft delivered to three customers – airBaltic, Korean Air and Swiss – as of August 31 2018, according to the Airbus website. VIDEO: Some air-to-air footage of the A220-300 in flight from the Airbus YouTube channel. Could this aircraft be a potential replacement for Qantas’ 717’s? David, Not only the 717, but also the F100 and potentially 737 (with the -300 model) although that would depend on the market and payload and may influence deployment of the Q400 on certain markets given this will have a cost/seat/km closer to the Dash than most of those aircraft. 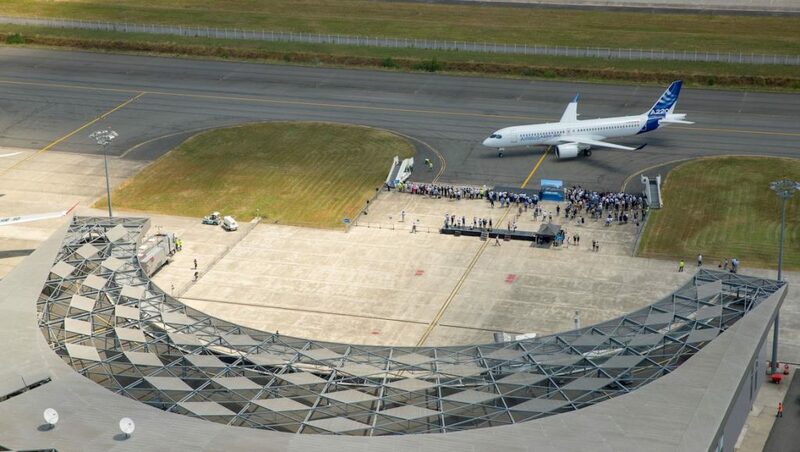 For brand V it could completely replace the F100, 737-700 and A320 (VARA not Tiger). 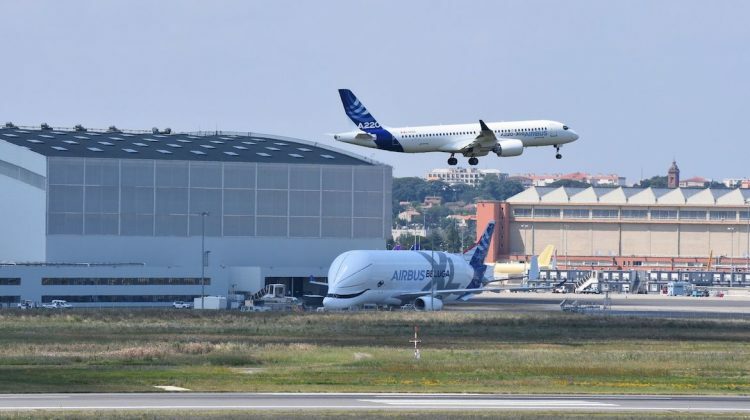 Given its now an Airbus product would VA get a better package ordering the 220 (mix of -100 and -300) to replace the F100, 737-700, A320 and some 737-800’s and the 350 (mix of -900 and -1000) to replace the 330 and 777’s? Final fleet of ATR72, A220, B737MAX, A350. Given the economics you’d be mad not to get Tiger over to the MAX rather quickly too. The only real potential sticking point for Australian operators will be the amount of flying it’ll need to do to be cost effective and how it stacks up in the hot/high and austere environments (like regional WA in summer with a load of FIFO miners on board). @ James, I found this in an article about Jet Blue order, ” The Airbus jets cost 29 percent less per seat to operate – including a 40 percent savings in fuel burn – than the existing Embraer planes”. It did not have information on purchase cost, it should be factored into the operating cost for Jet Blue.